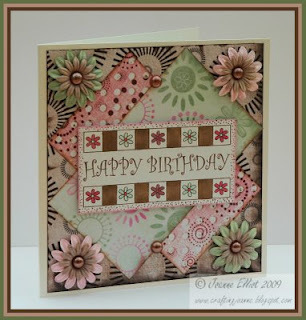 Stamptacular Sunday Challenge: Challenge #7: Pink, Green and Brown! Here we are again...ready for another challenge? 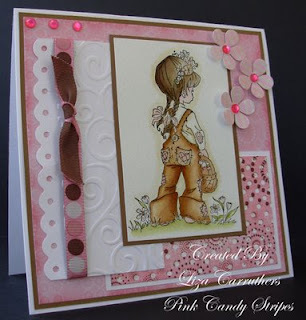 For this challenge, not only do you have to incorporate some sort of stamping but your entire project must be made with only the colors of pink, green and brown. 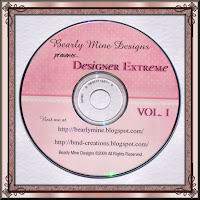 One lucky winner will receive this disc that contains over 700 backing papers, all designed in 6x6 size for all your card making and scrapbooking needs. There are 10 color schemes in total, all with different designs, plus more papers for X-mas, and also all those birthday or special occasion months. 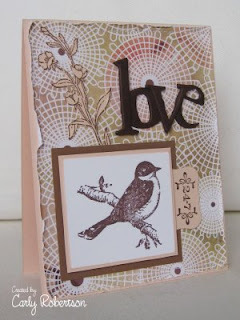 These papers look fabulous behind your stamped images, cards as well as any decoupage items you may wish to use. 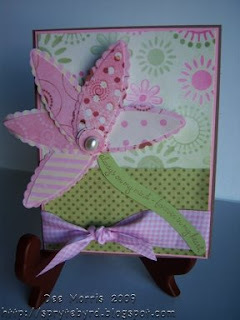 These papers when used in your floral punches make a stunning creation as seen in this as well. There are also bonus printable items to use on your cards, such as ticket stubs, journaling or stamping tags, and lined notepaper. wow just uploaded a card and it fits very well with your great challenge. I love the dt cards they are beautiful. Fab DT-work as always, and a great challenge! A fun challenge! Pink, green and brown - great colours. Some of my favorite colors ever and this week I actually got a chance to play! Thanks for the wonderful DT inspiration! the design team rocks again this week! and i am so excited about the challenge this week. love the color combos! there are some great entries already. can't wait to finish my entry! You guys are the tops. After looking at your things, I kind of hate to share mine. But thanks so much for the challenge. It definately made me put my thinking cap on. Wow--what a great job by the DT. This was fun colors to work with. Oops sorry about that--I thought I changed my first link but it didn't take so the second link is the good one. Great work this week DT ladies!!! I did not get my card finished this week. I did get all of my papers picked out and ready to go but just no time to get at it. I hope to join back in this following week. 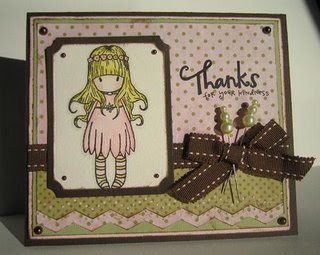 But wanted to let you know that the cards are FAB!!! I think Kristen's is my fav! 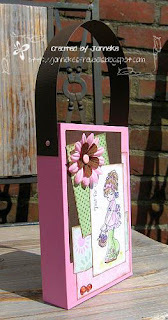 I also wanted to tell you about an awesome contest I entered at The Original Scrapbox. 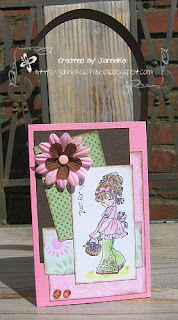 Check it out and please vote for me, #327 http://theoriginalscrapbox.com/craftbox_giveaway/showContestant.php?id=327 for the cutest craft giveaway.